Look what I made! It was just an experiment but it turned out to be amazing! Anyone can make no knead bread without a Dutch oven. It helps to create steam inside the oven just like it’s created inside a Dutch oven. Steam is what makes a crispy crust and it’s really easy. What you do is put a small pan in the oven before you preheat it and then when the oven is hot and you put in the bread to bake, you also pour some hot water into the small pan and it creates steam. 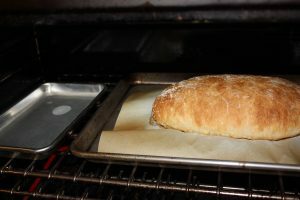 Then you quickly close the oven door to keep the steam inside and after 30 minutes, you will have an fantastic loaf of ciabatta bread with a soft interior and a beautiful golden crispy crust. You can use a variety of pans to create the steam (do a google search for ideas if you like) but that process is not easy on the pan. I have used a small flat pan as pictures as well as a small 6-cup disposable foil pan. But if it does not fit on the same rack as your baking pan, just place it on a rack below. You may have to remove a rack to make room but whether beside the bread or on a rack below, keep it off to the side and don’t put it directly under the bread. And be sure to keep it close to the front for easy access. Here is how I place mine and how you can place it below if your oven is smaller. 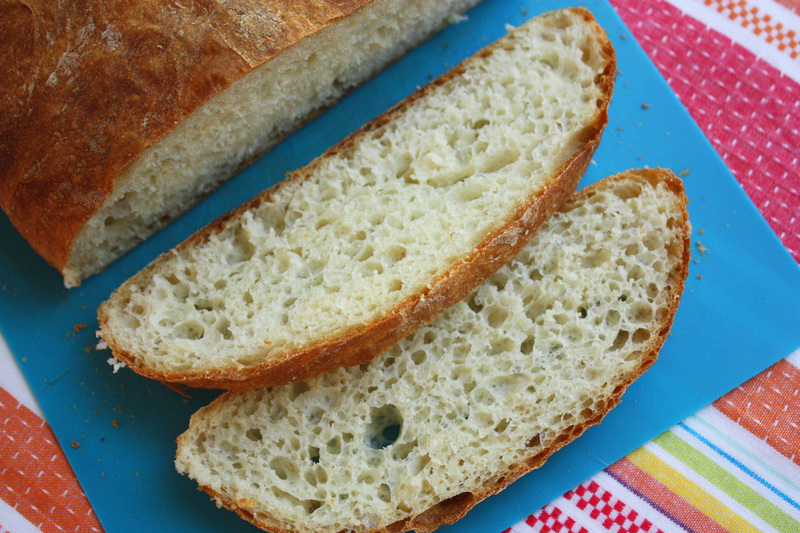 21 Comments on "Easy Homemade Ciabatta Bread"
Can I use wax paper instead of parchment paper? No. Wax paper is not meant for heat and it will melt in the oven. I made this recipe today, and I should mention that this is the first time I have ever attempted to make bread. I followed the recipe exactly (weighing the flour). On first glance, when taking it out of the oven, it looked perfect, except the bottom looked like it was just about to start to burn, and it did not look quite as puffy as your loaf in the picture. Cutting into it revealed a nice crunchy and flaky golden crust however, it seemed to clump together a bit when cut and did not have as much of an even texture as yours does in the picture. Could I have undercooked it? I feel like if I baked it longer, then the bottom definitely would have started to burn. I live at around 6,000 ft, so not sure how this affects bread baking. I was told not to worry about it. Regardless of whether it was undercooked, we still managed to eat half of the loaf in 10 minutes because it was still that tasty! One more question. The parchment paper directions say to not bake above 300 something degrees and this bread bakes at 450 so is that okay? You are so clever and funny, I love to have you in my life by watching your Videos. I have not been able to have success making the no knead bread but I keep trying. Jenny, you are a doll. Love your videos, especially the no-knead bread. Have you tried using arrowroot flour, coconut flour and almond flour mixed together? I am going to try it, but before I do, I would like to know if it would be okay for your recipe. My family has a problem with wheat flour. It must be genetic. I have a granddaughter with irritable bowel syndrome and a daughter, Jennifer, with celiac, which makes it impossible for her to eat anything with flour in it. Her 11-year-old son is autistic and has dietary limitations also. He can only have arrowroot or coconut flour. My whole family has gone gluten free, except for me. I am too stubborn!! Maybe it’s because I’m 81. It’s hard to change at this late date. 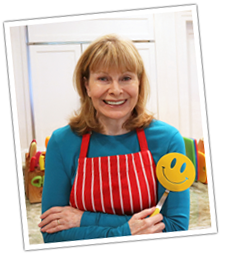 Love your adorable personality, you are fun and so helpful, Jenny. I’m sorry to say that this recipe needs gluten. You may have to look for another type of bread recipe. Dear Jenny, I am not gluten free but have a recipe for a no knead gluten-free bread. I would be happy to share it. Please share your recipe for gluten free bread. Hi June.Is it possible to have your recipe of this no knead bread but gluten free. I love Jenny’s bread but cannot have it often because I am Gluten free . America’s Test Kitichen has a Gluten-Free all purpose flour recipe on their site (great for making pizza). If you have trouble finding it contact and I will forward the information to you. I will try the bread recipe tomorrow….having company. Thanks so much for this awesome breadmaking recipe and method. Our partners now request rolls when we come to their house. Thanks again. Do you have plans to make any more cooking videos? I love them! Hi Jenny! I was wondering if this dough would allow for add in’s like raisins and walnuts, perhaps? If so, at which point does one add them into the dough? Thanks! I make no knead fruit & nut bread (you can see the recipe in “Breads”) and I add the fruit & nuts in at the beginning when I put the flour/water mixture together. 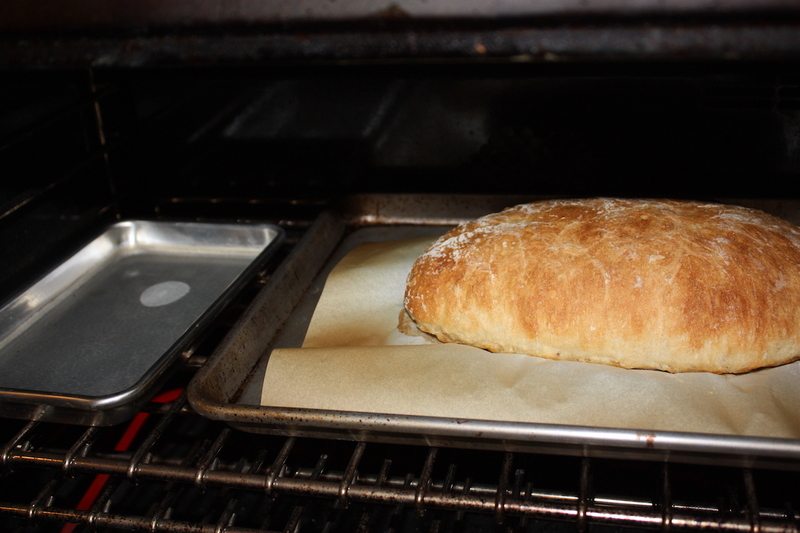 Your Easy Homemade Ciabatta Bread recipe is going to be another wonderful bread for me to make…. **happy dance** !! Thank you for posting your pictures on the steaming process, they’re very helpful. Have a nice evening Jenny! I am so glad you are back in my life again. This wonderful video popped up on YouTube. I kept saying to myself, “I know that voice.” The recipe is delightful. I also watched your cabbage roll video. One day, try coring and freezing in a zip bag a head of cabbage. Thaw slowly in the fridge. The leaves will be fresh and limp and ready to roll. The expansion of water during freezing burst the cells and make the leaves limp. I love every one of your recipes. Thanks for sending this one too me!